Great content is the cornerstone of any Website or blog post. 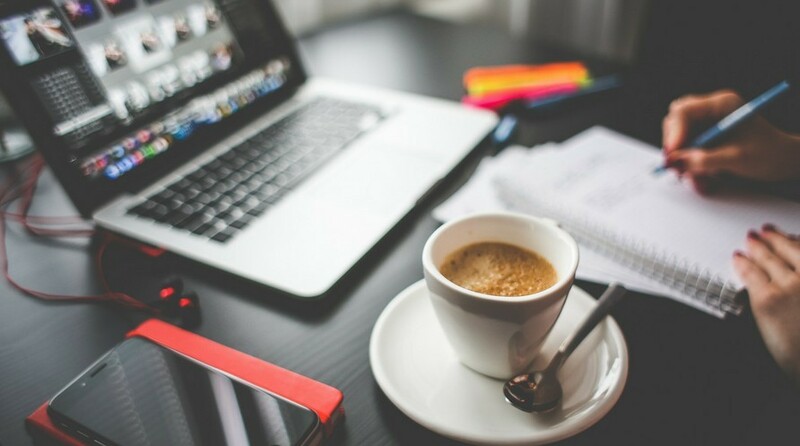 So, the importance of writing content on a regular basis is very important to your business. But how do you overcome when sometimes writing great content is not the easiest thing to do. I can assure you that there are tons of things to write about in any niche you choose. If you are not sure about what a niche is read my article Picking Your Niche here. If you have chosen a niche that is dear to your heart or in your wheelhouse of knowledge then the content should come easy enough. But sometimes even the greatest writers will get writers block and think they have run out of ideas. Always look at writing as a chance to spread your knowledge or offer your perspective. Coming up with new ideas should be fun and exciting. If you think about writing as a chore it makes it difficult to come up with fresh ideas and allow your creativity to shine through. When you think you are out of ideas doing research in your niche will provide you with ample ideas for more content. You can even take one of your own articles and break it down into pieces and expand on each point in your article. Everyone has a different writing style. Some people prefer to jot down a list of titles and work from there by planning and building out the foundation of many articles at once while others prefer to choose one article at a time and only move on to the next when they have completed their current creation. You can use whichever method fits your style of writing, there is no wrong or right answer. The most important part of any writer is to communicate with your audience. This can be done by telling a story or stating facts or doing product reviews. Talk to your audience like you are talking to your family or friends. Educate them about places or products. Give them information so they can make an educated decision on purchasing a product. If you get stuck on one area take a break from writing or move on to a different area in your topic or start a different topic all together. It’s ok to be working on a few articles at the same time. If you are not completely happy with a phrase or paragraph change the color of the font, make it bold or use something that stands out so you can go back later and relook at it but just keep writing. You can go back and edit things later when you proofread it. The main point here is to just keep writing, eventually all your ideas will come together and your creativity will jump into overdrive and you won’t be able to type fast enough to keep up with your brain. If you stop writing and let the pressure get to you then time will fly by and sometimes several days, weeks or months will pass by as your website sits idle as it slowly declines in its ranking in the search engines such as Google and Yahoo. You do not want this to happen, all you hard work up to this point will start losing it’s rank. 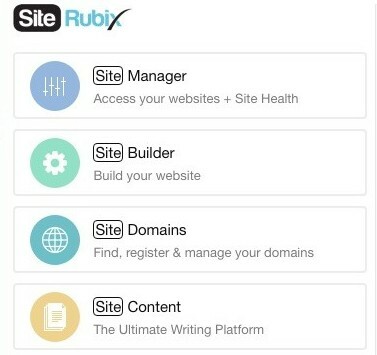 I do all my writing as a document on my laptop so I always have a rough draft on my computer and then move a copy into my “Site Content” on the “SiteRubix” platform. SiteRubix is the website platform that is included in the Wealthy Affiliate Membership. To find out more about Wealthy Affiliate click this link to be taken to my Wealthy Affiliate Review. I do this because everytime you make changes in a SiteContent document it will show as a version, I personally don’t like it showing several versions before I even publish it to my website so that’s just how I do it. I think the hardest thing for me is actually coming up with the topic I want to write about, after I finally pick the topic I am usually good to go and am able to write if I don’t have tons of distractions. Pick a topic that is relevant to your niche, maybe a problem that you have the answer how to solve it. Find related keywords you want to use. A keyword is simply the words that people type into the search bars on search engines such as google and yahoo. 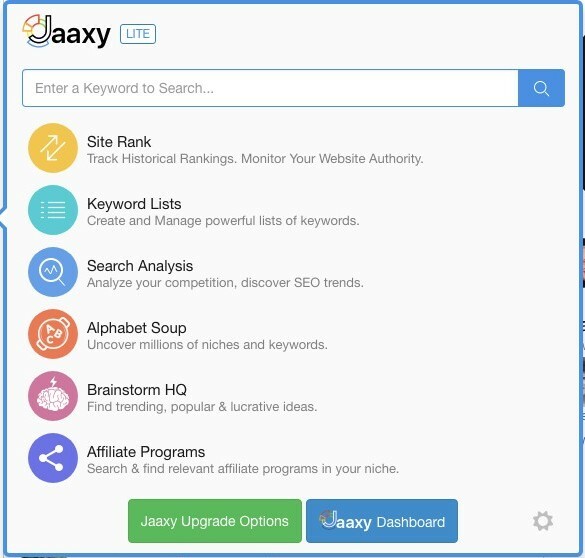 The keyword tool that I use is called JAAXY. It is also included in the Wealthy Affiliate Platform. Be sure to use your keywords in your article title and in the first paragraph of your article. You can add it maybe one or two more times later in the article but don’t add it anymore than that. The search engines will see that as keyword stuffing and it will cause you to rank very low in online searches. The most important thing is to make sure your writing makes sense. Always use keywords that are grammatically correct. By having an outline of what you want to say in your article you will be gently guided through your writing without having to keep stopping and restructuring you train of thought. Be sure to leave what is called “white space” in you article meaning do not type a huge paragraph that looks like a WALL OF TEXT. Your readers will be overwhelmed and will most likely move on to a more reader friendly site. Once your article is complete and you have copied it into Site Content, be sure to proofread it for any spelling or grammatical errors. Once any errors are fixed it is ready to add your images and links and publish to your website. If you are using a wordpress site you can go to your dashboard, view you website live and see how it looks and make any changes that need to be done. Now that your article is published it’s time to move on to the next one. Be sure to write and publish your content on a regular basis. Two or three articles a week is a good number to aim for. Feel free to do more if you have the time. I hope you found this article helpful. Please feel free to leave me any comments or questions below. This is a very good account of the process of writing content for your blog. I also use the tools you mentioned. One other reason why I like Site Content is because you can easily find copyright-free photos to import straight into the article editor. The focus of your article is on content writing, but I just want to mention that after you’ve published an article on your blog, it’s a good idea to put it on Fetch With Google, and do a bit of social media promotion and broadcast it to your mailing list if you have one. Speaking of which, I tweeted the article to my followers as it seems like it could help them. Thank you David for reading my post and thank you for the added tidbit of good advice. Fetching as Google is definitely a good step as well as posting on social media sites. I just step foot into the blogging world and really want to be successful at this that is why I am trying to get as much information on writing as possible. You have really given me an important tip that I will never forget, other than knowing why it is essential that you write content daily. To talk to my audience like I’m talking t my friends and family. It has solved half of my beginner problems and I have to say thank you for that. You are so welcome, I’m glad you found something useful in my post. And remember we were all a beginner at some point. Great article on the importance of creating content. I agree that no matter what you’re writing or even if you get writers block — the most important thing is to just keep writing. No piece of content will be perfect, and the best thing you can do is publish a post you may not be quite satisfied with and make sure to make the next one even better. So true Michael , thank you for reading my post. Hello Pam, great article on content creation. I write blogs on a daily basis, and try to reach the 1,000 word mark every time. As you constantly create content, you start to adjust to it, and it becomes easier and easier. Thanks to WA, creating content is such a breeze for me, and it is fun to write about your interests, and educating other on them. Thanks again, and I wish you the best of luck within WA!!! You are so welcome, its nice to hear from a fellow Wealthy Affiliate member. Writing content is so easy when you’re writing about what interests you. Thanks a lot for the great tips, Pam! You’re certainly right when you say just to keep on writing! I get that ‘writers block’ so often. Even if I don’t know what to write I still force myself to put down at least something. When I do this I know that I’ll come back later to edit it. The funny thing is that even with this ‘block’ when I think what I’m writing is absolute garbage, it’s actually not that bad! It just goes to show that a lot of it is in the head. What I struggle with is finding time to tweak the design of my posts and website. I want to dedicate a couple of weeks to that (I only have an hour or so a day of website time) but I’m worried about stopping to write for that long. Thank you for reading my article, it is so easy to get sidetracked especially when there is so little time available to devote to your website. I think our website are always under some sort of “construction” so to speak. As long as we progressively move forward that’s we are doing ok.
2-3 articles a week is a great goal. I was doing that for a while – then I had a week that got away from me and did only one post that week – so I am trying to over achieve this week and put out at least 3 if not 4 – I do better when pushed. Good article. Thanks for the reminders! Thank you for reading my article I’m glad you found the reminders useful. Hello Jack, Thank you for reading my article. Writers block is not fun and it can really set you back. Just keep writing something soon you will have multiple articles written. I do agree. Making a habit of writing regularly does make it easier over time. The biggest problem for me is making it “good” as well. 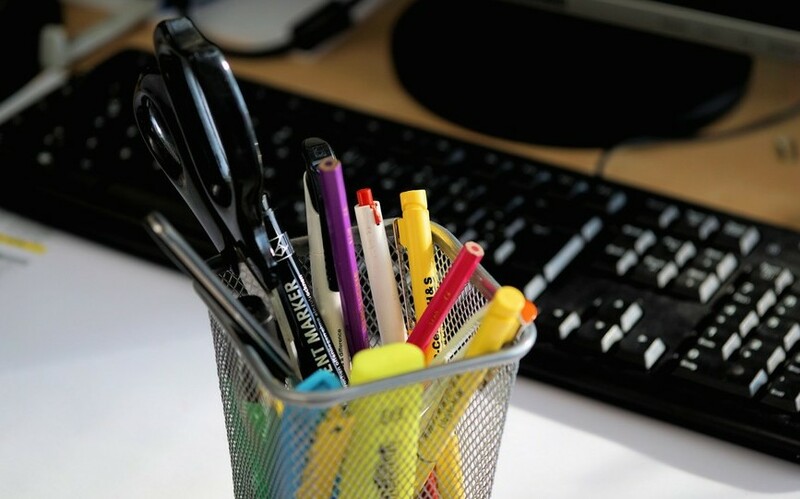 For me, with what I am doing (writing about mindsets and lifestyles), the writing has to be heartful and meaningful, it must be about a thing I know something about (which means I spend a lot of time researching and thinking on things), and the piece must be a good experience for the reader. I find myself getting caught up in trying to make each article perfect, I really have to force myself to publish articles that I feel are not perfect, with the intention of editing them at some point down the road. “Polishing” is an ongoing effort.